Are There Mutual Funds That Give Quarterly Payouts? Are there funds that give quarterly payouts? 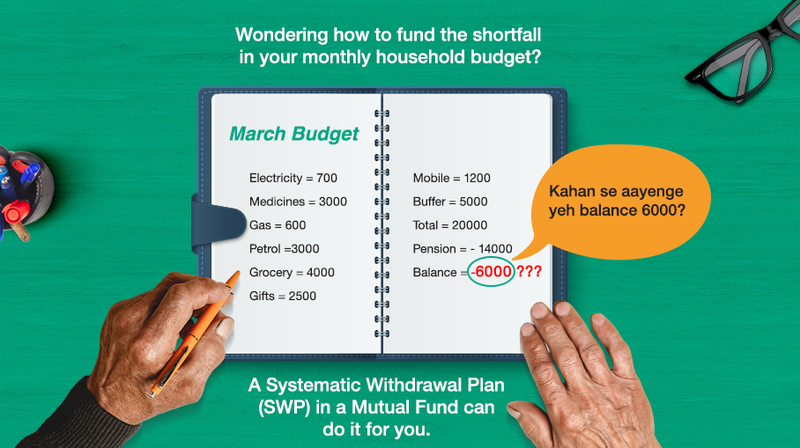 If you are looking for a regular income inflow to manage your monthly household expenses, you should go for Systematic Withdrawal Plans (SWPs)in a Mutual Fund. All you need to do is invest a large lump sum amount in a suitable scheme and then start a SWP after a year, so that short-term capital gains tax doesn’t apply. You can decide the payout amount and frequency as per your need and change them whenever you like. SWP is better than opting for dividend option in a Mutual Fund scheme because dividend payments are not guaranteed. They are subject to profits made by the companies in which the Mutual Fund has invested your money. If the market goes down and your fund makes losses in its portfolio, you may not receive any dividends. In case of SWP, even if the scheme is making losses it will still pay the amount opted for, by digging into the principal. Hence, you should have a lump sum amount to begin with in case of a SWP. You can set a withdrawal amount as a proportion (%) of your lump sum investment that will be slightly less than the returns you expect from the fund, so that your principal remains intact most of the times. Mutual Funds vs Shares: What’s the difference?